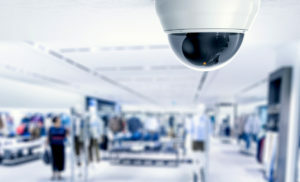 CCTV Security Cameras in Miami are one of the best investments you can make for your business. Outside and inside … investigative and deterrent … business security cameras provide vital information to safeguard what’s important to you – your customers, your staff, and your property. 123PCSolutions’ expertise carries across multiple security system technologies and products. We pride ourselves in delivering surveillance and security camera solutions that have the capability to provide clear images, even in low lighting. We will setup a system to meet your specifications and goals, including facial and license plate or number recognition. 123PCSolutions’ highly certified experts are trained in multiple fields including network solutions and security, cabling and wiring, backup and recovery, business phone solutions, routers, Intranet IT services, and managed solutions. Call us today! Feeling insecure? Unprotected? 123PCSolutions is Certified to install, maintain, expand, and update camera security systems. Outside and inside, investigative and deterrent, security cameras provide vital information to safeguard your company assets. Very help and acknowledge. Fast responce and available for any question. Thank you guys. Great place to do business! Great prices and customer service. Very attentive to my requirements many options to choose from. Will definitely do business and recommend to anyone. It is amazing place, very well approach with cheaper price. Quick response. Never get disappointed. Alvaro is superb!! !